Thanks to everyone who reads and keeps up with Retail Review! I really appreciate it. 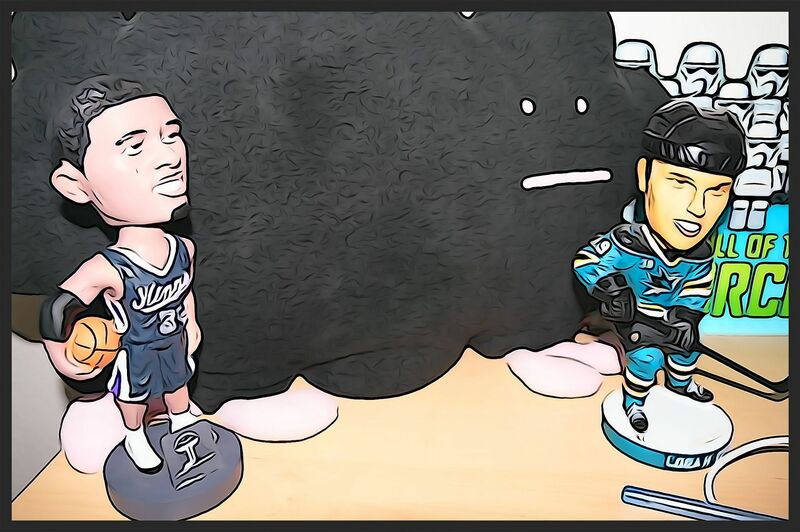 And special thanks to those who chimed in using the comments section in the last review to help me decide on the retail break for this week. 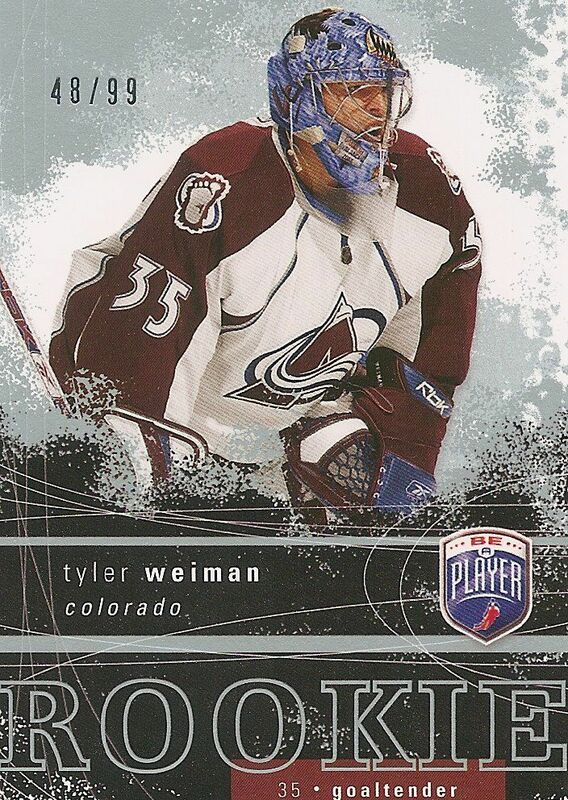 Up today is a blaster box of 07/08 Be a Player. 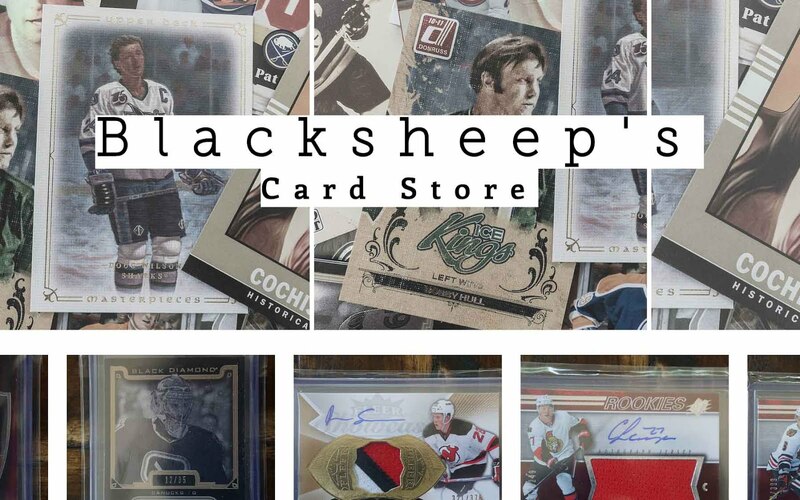 Be a Player is no longer a product that is produced now, but when it was, it was a set of cards that gave casual collectors access to NHL autographs without having to face staggering odds. I'm sad that it's gone now, but I am happy to review a blaster I was able to get at a very nice price. I have always felt that the package size of a blaster for anything less than 5 packs was a bit excessive... and that's the case here with the Be a Player blaster. It's just so big for 2 packs! But I guess blasters all have a uniform size, and the companies just wanted to keep that standard no matter how few or many packs there are within. In terms of value though, many Be a Player blasters will beat blasters of Pinnacle, Ice, and even UD Series 1/2 because of the guaranteed autograph card inside. Basically, whatever you pay for the blaster is what you pay for the autograph hit - all else within is just gravy. As fast as my last blaster break was (UD Ice), this one was even faster. It really does take little to no time at all to bust into just two packs. Opening the packs and fanning them out a bit, I was able to tell that each pack had 'something' in it. Obviously there was an autograph there... but I wasn't sure which pack had what by just looking at the border of the cards. In my mind I was hoping that I would be lucky and get 2 autographs, but that wasn't the case. As it turns out the first pack I decided to flip through was the one with the autograph in it. 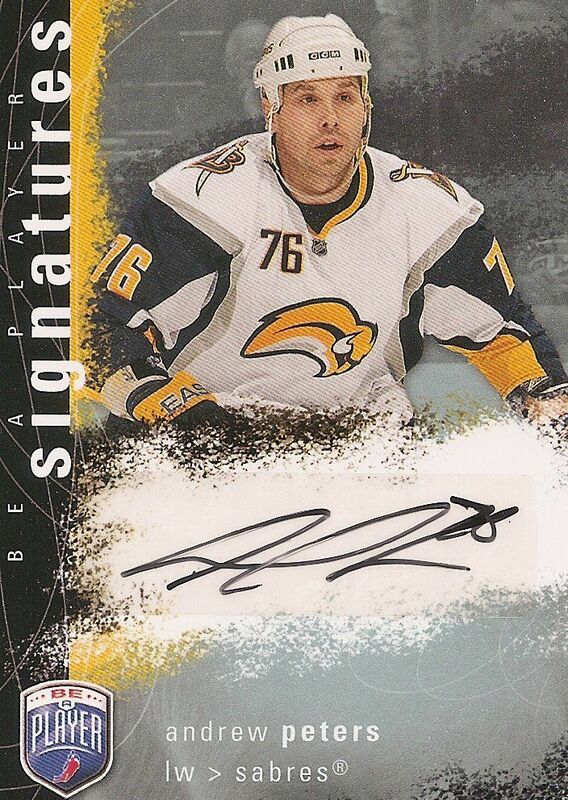 The auto was of Andrew Peters from the Buffalo Sabres. Definitely not a huge name or anything even close... so that was a bummer, but an auto is an auto. I actually was a bit more impressed with the rest of the cards in the pack. I was pleasantly surprised at how nice, glossy, and thick the base cards were. Though the autographs are the main draw in Be a Player... Upper Deck didn't skimp on the design of the base cards here. So even though my auto was pretty scrubby, the quality of the product left me feeling a bit better. My second pack yielded a Be a Player rookie card. The sweet thing about these cards are their rarity. 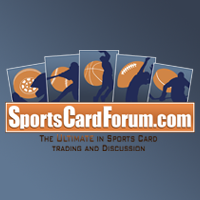 These rookie cards are numbered to only 99. Star player Be a Player rookie cards do sell for a nice bit of coin on eBay. Of course, if you get the player I got, it may not be sold for any amount of coin... but it's better than an all base pack or a non-numbered insert. I'm actually surprised to get a serial numbered card in a blaster. So often companies don't put serial numbered cards into their blaster boxes. The fact that the card looks great is another 'plus'. 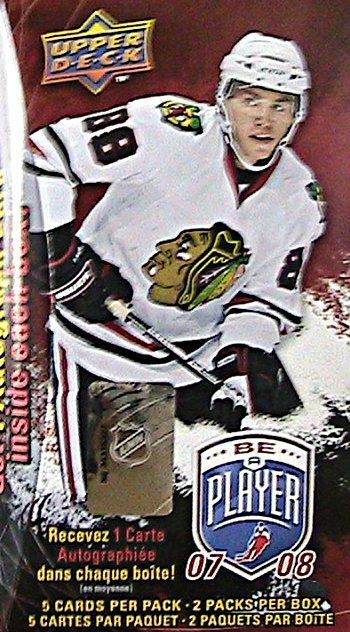 Ovi was definitely the biggest star in the two packs I broke with this blaster. Too bad it wasn't the autograph! 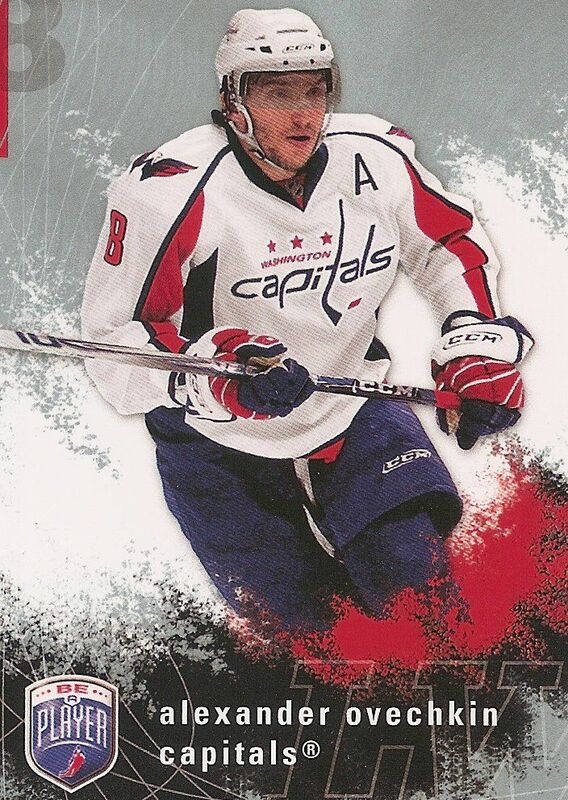 Still, it's nice to get an Ovechkin card. There are a lot of cards in the base set so pulling any star is always a good thing. To sum up why it's number one: it has an autograph on it. For the price you pay you get one autographed card. Is it worth it? Well... maybe! I think the price I paid at Dave and Adam's Card World for this blaster was right on the money. I paid $10 for the blaster that could have gotten me a star auto, a dual auto, a triple, or even a quad! I didn't get any of those, but $10 to chance is not a bad proposition. I'd definitely do it again just to see if I could pull out a big name card. And like in my break today, there is always the chance of getting a good serial numbered rookie card as well. Let me know what you thought of my 07/08 Be a Player blaster box down in the comments below. Have you ever gotten anything good from one of these? I'd love to know! Really you are paying 10 bucks a hit. Certainly worth it with any product. However, many of the "misses" can be bought in lot deals for a buck a piece.....definitely a good deal, but not a sure thing! I love how you get two hits in this blaster box, its great! Series 1 2010/11 has my vote for the next retail review! even though some of the hits may not be the best, the base still look nice. And you never know, the player you pulled a hit with could be a star in the next few years.